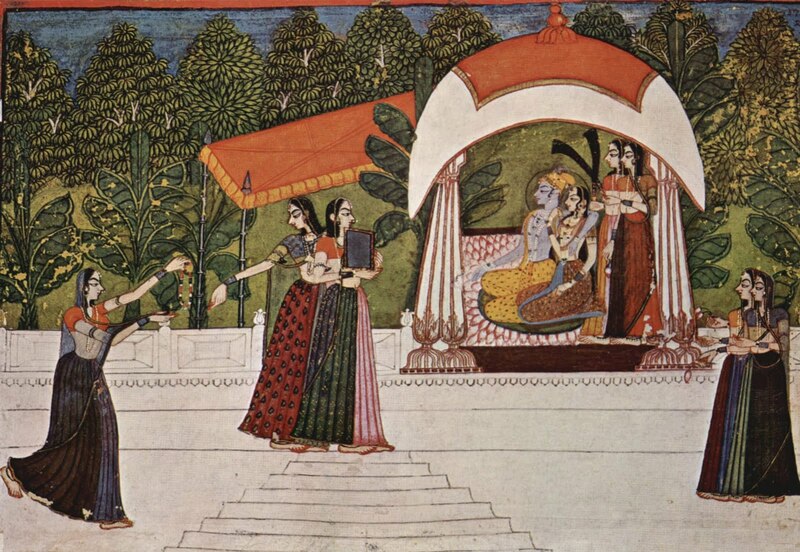 Nihal Chand (1710–1782) was an Indian artist who produced some of the most well-known examples of Rajput painting. He was the chief court painter in the time of king Savant Singh of Kishangarh. He has transmitted the romantic and religious passions of his patron Savant Singh into new and fresh visual images. Bani Thani is one of the best images drawn by him.